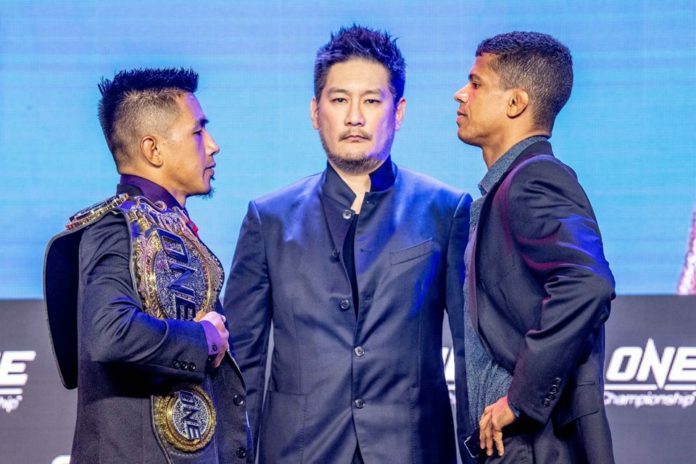 Presenting its next event billed as “Hero’s Ascent”, Asian promotion ONE Championship held the press conference on Tuesday January 22. Top of the bill this coming Friday (Jan. 25) in Manila features the defending flyweight champion Geje Eustaquio up against Adriano Moraes. Along with the main event fighters, the press conference was also attended by several other athletes partaking in the event. The list included Honorio Banario, Lowen Tynanes, Danny Kingad, Tatsumitsu Wada, Fahdi Khaled, and Rodtang Jitmuangnon. The fight card can be found below.